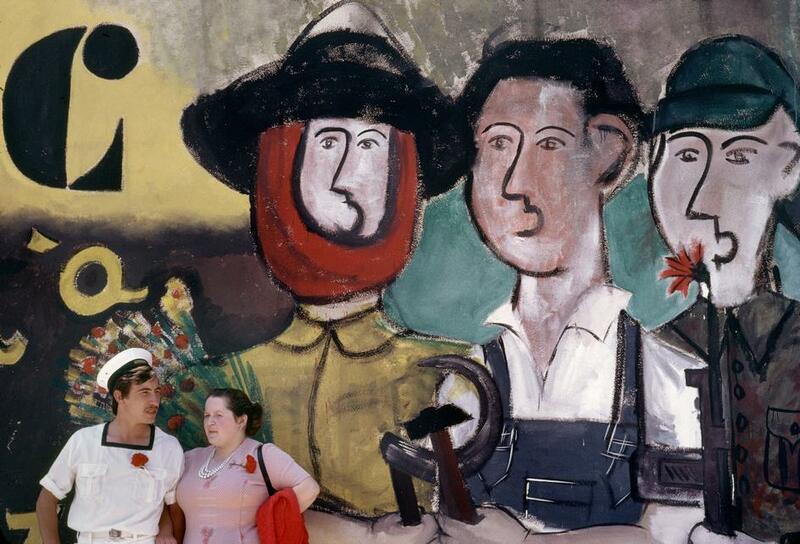 Portuguese poets were among the first to celebrate the liberation of Portugal on April 25, 1974. Sophia de Mello Breyner Andersen’s poem, “25 de Abril” captured the mood of the Portuguese as the authoritarian regime fell and the disappearance of repressive policies opened the doors to freedom of speech. I was delighted to read your posting to commemorate o 25 de Abril. The Revolution of the Carnations is an extraordinary story in the history of world democracy, sadly not well known outside historical circles. An interesting film, Capitães de Abril (Captains of April), directed by Maria de Medeiros, Portugal, 2000, is worth seeing if you can find it. Watching this film will give you some sense of the events that occurred in Portugal in 1974. As someone living in Canada since 1968, I find myself in 2012, wondering about the relevance of the 25 de Abril celebrations done by Portuguese communities living outside Portugal. I know that we want to celebrate the significance of an event that shaped the future of Portugal’s social and economic life and that had real relevance to the citizens living there in the 1970’s but, for immigrants who had already left, like my family, who came from the Açores, what impact did o 25 de Abril really have on us? I was almost 16 at that time, living in Toronto, and I don’t even remember how quickly we received the news (social media then was not what it is today). But once I heard my family talk about o 25 de Abril it was like hearing a story about an event that happened so far away that it had no real resonance for me as a Portuguese Canadian teenager. I can’t even remember how my family felt about it, what it meant to them. But I am sure it did mean something to them because they had left their homeland as adults and they had lived under the Salazar regime. Perhaps this is why the older generation of immigrants still celebrate the day of liberation, if only in solidarity with their family and friends who remained in the home country and who experienced firsthand freedom from dictatorship. Years ago, while visiting Ponta Delgada, walking the streets of my birthplace and thinking how wonderful it was to be visiting “my country”, I saw two young men walk by in military uniforms (the Portuguese still do military service although it’s not as bad as it was before the revolution when men really did go to fight in a futile and horrible war,) and it dawned on me for the first time that I was really clueless as to what it meant to grow up Portuguese in the homeland. Living in Canada, I had missed this rite of social passage that all young men living back in Portugal go through. The experience of being Portuguese in the Açores or in mainland Portugal was and is different from the experience of being Portuguese in a foreign country. Only to say that any meaning I can make out of the celebrations of 25 de Abril rests only in my interior world of “saudade” for the place I was born in but which I can only touch through “as brumas da memória”. I wonder what authentic significance this day of celebration can really have for second and third generation Luso Canadians or Americans, whose experience of their heritage is lived only by the stories their parents tell of the past or by the occasional visit to Portugal. But I do hope that all people will learn more about the real relevance of o 25 de Abril, because whether you are Portuguese or not, we can all relate to the desire and the need for freedom. Thank you for the movie recommendation. I’ll look for it online. As a child, I vaguely recall my own parents and relatives talking about April 25, 1974, but it wasn’t until I visited Lisbon last summer and read The Land at the End of the World by António Lobo Antunes that I began to understand the significance of this event. Since then I’ve read another half-dozen novels about the Portuguese colonial wars set during the years leading up to the “Carnation Revolution” and what struck me most was the impact Salazar’s repressive policies had on educators, writers, journalists and publishers. The Portuguese couldn’t criticize their government or speak out against the colonial wars without fear of receiving a personal visit from the PIDE (Gestapo-like secret police). Thousands of people, including writers, were tortured at the infamous Tarrafal prison. Can you imagine going to prison for something you’ve written?